buffalosabresnow: Casey Mittelstadt kickin' it at WJ Summer Showcase plus, Eichel 8/9? Casey Mittelstadt kickin' it at WJ Summer Showcase plus, Eichel 8/9? There was much ado about the Buffalo Sabres taking center Casey Mittelstadt with the eighth-overall pick in the 2017 NHL Draft. The Sabres already have Jack Eichel and Ryan O'Reilly anchoring the top six and center Sam Reinhart has been playing No. 2 RW while Johan Larsson had been centering the third line. In Larsson's absence after his injury last season, Zemgus Girgensons took his spot and forward Evan Rodrigues also played there after the team moved him from the wing. In other words, the center position is stacked, so why pick another center, especially when Buffalo desperately needed to add to the d-prospect pool and a player like Swedish defenseman Timothy Liljegren was available? It was the second year in a row that the Sabres picked eighth-overall and the second year in a row the team opted for a forward over a defenseman. At the 2016 NHL Draft held in Buffalo, NY, the hometown Sabres and then GM Tim Murray selected winger Alexander Nylander in the first round. Granted, Nylander happened play a position of need in the system but many, myself included, felt that the Sabres may have been better served selecting defenseman Mikhail Sergachev, who went to the Montreal Canadians with the next pick. Simply put, whether you're Murray in 2016 or new Sabres GM Jason Botterill this past June, best player available is the mantra. And my oh my, it seems as if Botterill did pretty well. Sure, it's only summer, but Mittelstadt is really garnering attention. 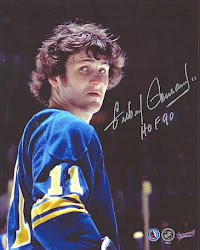 Back in early July he had himself a grand Sabres Development Camp and topped it off by leading his Team White to the annual French Connection 3-on-3 Championship and dazzled in the process. That was all well and good, but that was 3-on-3 against a decent pool of prospects. However, Mittelstadt is continuing to turn heads, this time at the World Junior Summer Showcase in Plymouth, Michigan. the WJSS is an audition for the upcoming World Junior Championships which will be held in Buffalo this year. Players from four countries are playing a round-robin format with the USA and Canada beginning the tournament with split squads. The other two countries are Finland and Sweden. The Sabres are represented by Mittelstadt and three other WJC hopefuls--forward Cliff Pu (CAN,) forward Marcus Davidsson (SWE) and goalie Ukko-Pekka Luukkonen (FIN.) All have performed fairly well with Mittelstadt outperforming all of them. In fact, the 6'0" 199 lb. center from Eden Prarie, Minnesota is sizzling at the summer event with three goals and five assists in four games. Team USA coach Bob Motzko said (via Amy Moritz of the Buffalo News,) that Mittelstadt has been "outstanding." "He's a year older, a year wiser," continued Motzko. "He really stepped forward as a go-to guy. Ben Smith on our staff likes to say, 'Raise your hand. Tell us you're here.' And every day he's raised his hand and is standing tall. "He has outstanding skill and play-making. Can change a game at any moment and is showing leadership, too. I don't know if we put him in a lot of those situations a year ago because of the older group that was here. Well they're gone and it's his turn and he's sure stepping forward right now and showing that he's got the ability to be a very special player." Botterill told the gathered media after the first round of the draft that they were "ecstatic to get [Mittlestadt.] We view him as [a player] with great skill-level and [he can] play with pace and we think he can fit well without our group of dynamic players such as Eichel, O'Reilly and Reinhart over the next couple of years." Mittelstadt is committed to the University of Minnesota next season and where he goes from there will be determined by the strides he makes both on the ice and in the weight room. He's proved that he can play against, and even dominate at times, his peers from high school to the USHL with the Green Bay Gamblers prior to the draft and he's doing it again this summer. It's something that should have those in Sabreland pretty excited. According to an Associated Press report yesterday, franchise center Jack Eichel and the Buffalo Sabres are discussing a maximum-term contract of eight years. Botterill had said that getting Eichel signed long-term would be one of his priorities this summer and although it's not earth shattering that and eight-year deal is in the works, the great part about it is that there is news on their negotiations. Earlier last month at the close of development camp Botterill told the gathered media, "Our conversations with Jack and the group have gone extremely well. We'll continue this throughout the summer and see if we can find a common ground because, from our standpoint, we certainly want to get something done. And everything we've heard from Jack and his agents is they want to get something done too." In their piece yesterday, the AP went right to Sabres owner Terry Pegula who was watching his other professional team, the Buffalo Bills, at training camp in Rochester. Said Pegula, "I can tell you this, we want Jack and Jack wants to be in Buffalo." In an April article in the Buffalo News Eichel was quoted as saying, "I want to be here for a long time. That's the way I look at it. I don't want to go anywhere else. I don't want anybody to think that I want to be somewhere else. ... 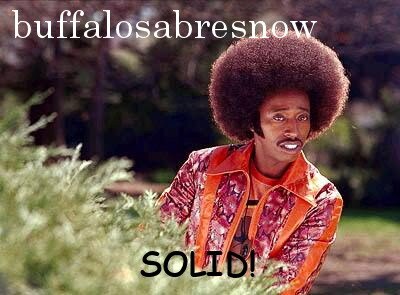 I want to be a Sabre and I want to be a Sabre for a long time and I want to be a part of Buffalo when we win. I know it's an organization that is capable of doing that, and I want to be a part of it and I want to be a centerpiece of it." What we have now is a team that wants the player, player who wants to play for the team and both sides looking at an 8-year contract extension. The only thing left is the price. The Edmonton Oilers and Connor McDavid reached a record-breaking cap-hit of $12.5 million on an 8-year deal back in early July with the interesting part being McDavid was said to have left some money on the table as initial reports had him around a $13.5 million AVV. That contract for McDavid, who was drafted first overall in 2015, one spot ahead of Eichel, pretty much raised the bar. Eichel won't be getting close to $12.5 million but for those of us who thought his AVV would be in the $8-9 million range, the McDavid singing blew those thought up and now we're hoping it's less than $10 million. Are we looking at an Evgeni Malkin AVV of $9.5 million? Or would they be looking to slide in a cap hit that's between Alexander Ovechkin's $9.538M and Anze Kopitar's even $10 million. Or, are they looking to go all-in and place Eichel on the same salary level of three-time Cup Champion Chicago Blackhawks Patrick Kane and Jonathan Toews who both have a $10.5 million AVV? This Sabres fan hopes that it goes no higher than a $9.5 million cap-hit with $9 million being optimal.